It is official, mobile friendliness of a website has now become an important signal to rank in search engines. While Google had been pushing this for a very long time given that more and more people are accessing internet through their mobile device, it was till now not an official signal for ranking in a search engine. In an official statement today, Google announced 2 major changes to search engines. First will be that mobile-friendly websites will launch better in search engines and more relevant app content will show up for signed-in users in search results. Both these changes are bought because of the number of queries arising from mobile devices. Google has always maintained that they want to show users most relevant and timely results, no matter from where you are accessing it. The new algorithms are bound to help mobile-friendly websites and apps that have their content indexed. Why Webmasters Need to Take this seriously? In Google’s own words, this ‘’This change will affect mobile searches in all languages worldwide and will have a significant impact in our search results”. Generally, Google does not make such strong statements, but in this case they have and reason is because they want the internet be be mobile friendly. If your website is not mobile-friendly, you need to take action NOW. If you are not sure if your website is mobile friendly or not, first thing is to run a mobile-friendly test incorporated by Google. After running the test, if you get a result like the one shown below, you don’t have much to worry about. 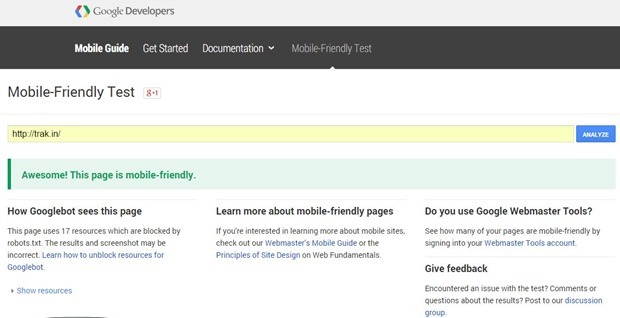 But, if the test says that you need to work on making your site mobile friendly, here is a resource to help you out with it. 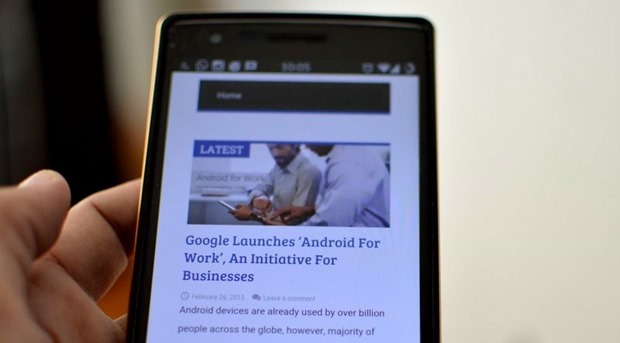 You can also check out how to get started with making your site Mobile Friendly. You have until April 21st to make your site mobile friendly, after which the Google search algorithm will change. The second major change is that Google search will begin to use information from indexed apps as a factor in ranking signed in users who have the app installed. So, if you have Trak.in mobile app installed, and you search in Google search, you will also see search results based on the content of the app. However, mobile app developers will need to support app indexing within their apps. To find out how to implement App Indexing, which allows Google to include this information in search results, have a look at Google’s step-by-step guide on the developer site. This change will be reflecting in search engines starting today!